Light drives every single aspect of crop growth. Once you fully understand its potential it's possible to unleash some truly amazing benefits in your crop! Light is everything! So whilst you often hear that ‘light is light’ that’s simply not true. 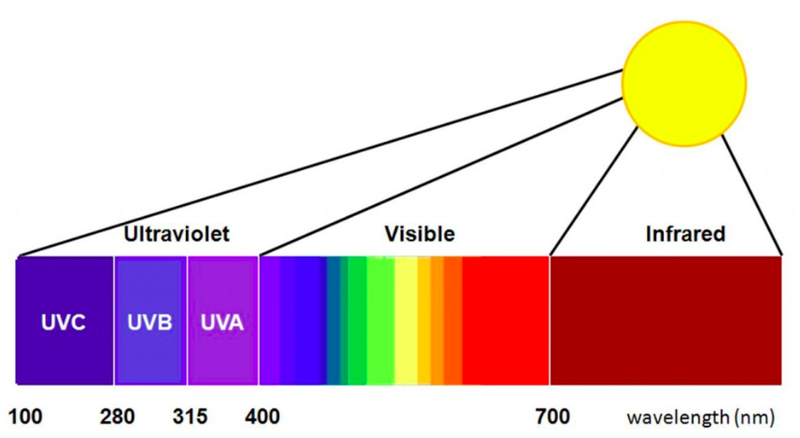 There are many different types of light – the light we see and the light we don’t see (but crops do). Here at LIGHTWORKS POLY we absolutely believe it’s the clever manipulation of light in global protected cropping that is going to help the industry deliver the next green revolution thereby feeding the worlds growing population and satisfying an ever growing number of discerning consumers. You see LIGHTWORKS POLY is at least ten years ahead of the competition in understanding just how important different types of light are for every aspect of crop development and quality. For instance, if you’re looking to extend your picking season and improve yields we can design a crop cover based precisely on the type of crop you’re growing at the exact location you’re growing at to deliver this for you. But manipulating light in just the right way in the greenhouse can deliver so much more. Here at LIGHTWORKS POLY we can design light recipes to greatly improve hardiness and root: shoot ratios in high value seedling crops. In fruiting crops we have light recipes tailored to produce exquisite colour and taste and at the same time improve fruit firmness, shelf-life and of course yield. Cut flower colour, structure and stem weight can easily be controlled using our light recipes and if you’re growing bedding plants or hardy ornamental nursery stock we can help you maximise commercial quality and control plant height just through the very clever use of light in our cover products. You see understanding how light can be exploited by growers around the world provides a very powerful tool for producing the perfect crop each and every time. Here at LIGHTWORKS POLY that’s what we do! How a crop tastes tells you a lot about the love and attention that it's received and that taste experience can be exquisitely intensified by the different types of light a crop 'sees' whilst it grows. So whether you're growing the most succulent soft fruit or a vibrant leafy salad we can design a film that brings out the very best in your crop. Many aspects of growing a crop contribute to making sure you're growing the hardiest crop possible but light plays a vital role. Manipulate certain types of light in just the right way and you can control root: shoot ratios, leaf thickness and strength and even force the crop to photosynthesise more efficiently. This leads to more robust crops that yield much higher! There's nothing more appealing to the eye than deep vibrant reds, lush yellows and deep greens. They positively shout quality and the colour of a crop can be enhanced by allowing just the right kind of light in to the greenhouse. Tell us what colours are important to you and we'll help you choose or even design a cover that meets your exact needs. How productive your crop is and the timing of both your first and final harvest can be tailored more closely to your needs by designing your crop cover with just the right properties for controlling the type and quality of light it receives. When choosing or designing your film we take into consideration what you're growing and where you are growing it. Then we design a film that fits your exact requirements based on how models and experience. Shelf life is complex and not yet fully understood. However, we do know that the right light can help improve the chances of producing a crop that has great shelf life. That's because different types of light drive changes in crop hardiness and architecture; both of which contribute to shelf life. Also, light can be used to manipulate leaf and fruit microbiology which is key for long shelf life. Sounds complex. It is, but we're here to help. For some crops controlling height is vitally important for both appearance and for the supply chain. Growers have relied on chemical growth regulators to help them produce crops of the required height but what if they could substitute chemicals for the clever use of light? Plants have the ability to detect changes in the amount of one type of light they receive relative to another. They use this difference to alter their growth and find sun light. We can use this clever trick in reverse to force crops to stay short and stocky. Growth control without the chemicals! Not all species see the same way we do. In fact insects see colours we don’t see and they use those colours to help find their food which in a greenhouse or tunnel is our customers crops. For well over a decade now we’ve been working to understand how economically important insect pests use this invisible UV light to forage and that understanding now allows us to design next generation crops covers that only block these very specific types of light whilst allowing all the good light through. Why now ask us about it? Despite significant advances in sustainable pest control over the last couple of decades the use of traditional chemical pesticides is still a necessity in modern global horticulture. It's not very well known but the speed at which most chemical pesticides breakdown is linked to the amount and type of light they 'see' and most greenhouse covers block vital types of light required for the normal breakdown of these chemicals possible leading to residue issues. For the past five years we've been working on models to predict this much more accurately so allowing our customers to better manage their pest management. We've also designed covers that allow near normal breakdown of these chemicals. It's not only insect pests that use light to find their way to a crop. Most fungal pathogens important to protected crop growers use the presence of certain types of light as a signal for sporulation and spread. Yep other types of life actually cause damage to pathogens. Understand how this works and it’s possible to design crop covers that block the ‘bad light’ and allow the ‘good light’ into the greenhouse. Tell us which pathogens are a problem and we can design a cover to help.